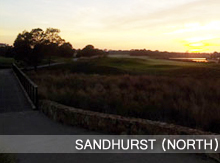 Sandhusrt Golf Club is the home of the PGA Australia. 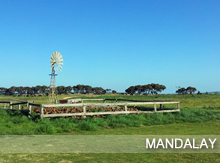 It is located in the prestigious sand belt of Melbourne. As you would expect, the golfing complex is amazing, with fantastic practice and teaching areas, and boasts two 18 hole championship courses (Champions and North). When I was presented with the opportunity to play, I didn’t hesitate! Very fortunately, teaching comes with a wonderful perk – school holidays! One of my former colleagues had recently turned professional and started a traineeship. He plays tournaments regularly and often has the chance to bring along a friend. Finally it was my chance. With a 7:30 meet, for an 8:00 shotgun start, it was early as I made my way to the course. It was one of those drives through the mist that seemed to promise a magical day. As I got there (way too early – very excited!) the sun was starting to come up over the 9th green. Amazing view, coffee in hand, life is just awesome, right? The course has a great layout with a real mix of holes. Long and short par fours, threes and fives. There are some holes that do present with great scoring opportunities if you want to be aggressive. But all are well guarded and the price will be paid if you miss in the wrong spots. The fairways are wide in places but demanding in others. All holes feature well placed fairway and green side bunkers. The greens were a real highlight; firm, fast and true. The course was in immaculate condition. Tees, fairways, greens and bunkers could not be faulted. Well done to the green staff here, what a job. The 3rd: A 181 meter par three titled “Wall”. This hole has a fairly straight forward tee shot with plenty of room to miss on the right hand side. 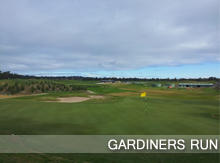 The green is large and features gentle undulations that run off the green in some parts. The green is guarded left and also long by a 4 foot stone wall. Missing either direction would be very damaging to your scorecard! The 9th: A long par five at 512 meters. This hole has water running all the way up the left hand side, fairway bunkers that sit right in the middle and a moat that crosses in front of the green. Danger lurks everywhere here! The smart play is to drive well away from the water and fairway bunkers. Consider hitting a shorter club because going at this green for 2 is almost unthinkable (didn’t stop me from trying!). Layup to a comfortable shot and shoot for the center of the green from there. The 18th: A longish length par 4 at 392 meters. What a finishing hole. It is again guarded by water down the left. Well positioned bunkers in the fairway make for a demanding drive. The play here is to go long center right to avoid the shorter bunkers. This will leave a tricky approach over the fairway bunkers to a long narrow green. Putting is difficult as the green has some large undulations. A magnificent finishing hole which again rewards the brave. I could just imagine trying to finish a tournament on this demanding hole with the club rooms in the background. All in all, a very tough course with some challenging holes which require power, precision and a good short game. What an amazing day and great company. After all, that’s what I love about this great game; the camaraderie amongst the group – the applause of good shots and the slurs for the bad ones. It’s not everyday you get to have a potential pro helping look for your lost ball in the water, rough, trees, moat…! 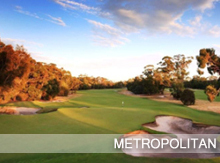 Recently, I was lucky enough to play Metropolitan Golf Course and well, it really is a treat! From the moment you arrive and see the immaculately manicured lawns and gardens you know you’re in for something special. Everything about this course exudes luxury, precision and a feeling of excellence. The new clubrooms are modern and spacious however I still love the hallway in the old building which meanders past photos of previous champions into the change rooms full of beautiful wooden lockers and Record Round boards featuring names like Greg Norman. You know your game’s going to be tested. 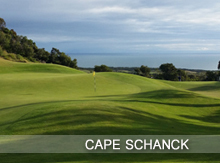 In particular your sand game – bunkers, bunkers and more, yes, bunkers! Everyone of them beautifully presented and challenging. This course really does deserve to be ranked in the top courses in Australia. Condition is amazing and the layout has a variety of holes which are just awesome. 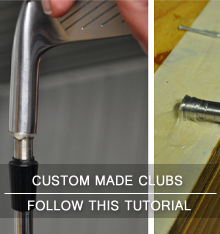 Every hole presents you with decisions to make and really will test your abilities both with the club in your hands and also your mind. As you head out to the first tee, the green grass rolls like perfect carpet around the open practice area and surrounding greens. You can’t really help but feel like a Pro about to embark on a major championship. The nerves begin to rise and your heart pumps as you stand over the ball on the opening hole. The 2nd: A 160 meter par 3. The green is very generous as with most of the holes here. The drive is quite demanding to hit. Visually a tight hole with bunkers defending the green short left, mid right and left, and long left. The play here is to shoot for the center of the green. The 6th: A fantastic 470 meter par 5. This hole would have to be my favourite on the course. You need to drive the ball keeping it out to the left and short of the bunker. From here you can take a long club and have a go at the green, but beware avoiding the bunkers will be difficult. 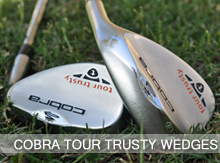 The safer choice is to lay up and hit a wedge in. The bunkers long are real trouble. Making par from there will be very, very difficult. The 16th: At 345 meters this par 4 is not very long but the green is hidden around a dogleg right. From the tee you have choices. Go long and shape it around the corner and leave yourself an easy pitch or chip. Get this wrong though and you’re in the deep pot playing a long bunker shot or running the ball through into trouble. The smart play is to layup and play a full short iron into the green which is well guarded by very difficult bunkers. I got the opportunity to catch up with some friends today at Whittlesea Golf Club. I have not played there for a while now and it was great to have another look at this interesting and demanding layout. The layout is fairly long with a handful of longer par fours, interesting par threes and shorter par fives. There’s lots of water in play and you can choose to take it on if your’re brave. 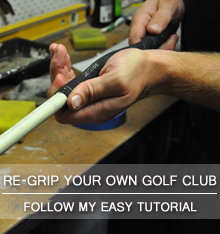 It makes scoring much easier if you take this approach and just a little treacherous! This keeps things interesting and the scoring ticking over if you have the length to reach the par fives. As summer has just ended I was expecting the course to be quite dry. I know that the course has watering for the greens and tees however the fairways only get rainfall. To my surprise the course has held up well over summer. Of course there were dry patches and some very thin lies, but all in all there were enough green patches around to place your ball on (card span) using preferred lies. I think the biggest surprise was the condition of the tees and greens. They presented well with a good cover and rolled quite well (though a little slower and softer than I was used too). I noticed around the course that the very few bunkers they have are being filled in and mounded which I think is a really smart move – much easier to maintain, cheap, look good and don’t cause a heart ache for the unsuspecting golfer! The other thing I noticed is that there were some growing Kikuyu patches starting to spread around the fairways. I’m pretty sure they had been planted years ago and are still providing cover. Slowly but surely these patches will thatch together and give good cover. It would be great to see them actively planting more of these patches to speed up the process. The 5th: At 341 meters it’s a mid length par four which requires a good drive as the fairway curves left to right and up a hill. Position is key to scoring well here, too short and you’re blocked out, too long and you’re in the bushes. Once you find yourself in the fairway with a look at the green you will need to negotiate an uphill approach to a double tier green that slopes from back to front and right to left. Find yourself on the wrong tier and a three putt is a real possibility. The 8th: A short par three at 127 meters. You will need to keep the ball left here as the right side of the hole slopes severely down and the next shot will be very difficult. You do have room to the left here and you can use the bank (side of the hill) to roll the ball onto the green. A fairly straight forward green but being below the flag will help a lot. The 13th: My favourite on the course. A longer par four at 373 with water in play all the way down the right side. Bomb it long here and you’ll have a chance to score. The approach difficulty really depends on the drive. Leave it short and you’ll have to carry water and avoid more water to the right of the green. Hit it long and you’ll have a much eaiser short iron into the two tier green. Put the ball anywhere towards the centre of the green and a two putt here should be a piece of cake! 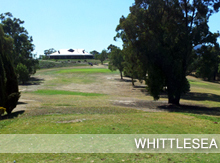 I hope to return to Whittlesea Golf Club soon for another game and to check out their fantastic looking clubrooms. Well worth a visit. 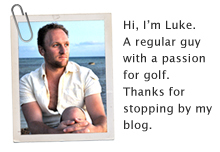 I guess if I’m going to write reviews on courses then a good place to start would be with the course I’m a member at. 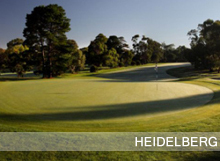 Heidelberg golf course has come along way in the time I have played there (around four years now). The Santa Ana fairways have established well and provide a lush consistent surface to hit from. 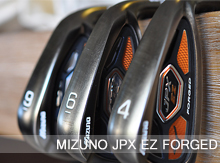 Unlike some other courses they are not cut too firm which always gives you a chance to be aggressive with your shots. The greens are always in great condition and roll true. I’d say they would be the real strength of the course, however constant work means other areas are fast closing-in on being the ‘draw card’. This course always presents a challenge. You need to be able to work the ball left and right, play disciplined shots for position (if you want a good chance to score well) and read the subtle breaks on the greens. I find it to have a good mix of longer and shorter holes all of which can be played aggressively to give yourself a chance to make birdies but each with elements of risk. The straight hitter will manage this course well. Going in the thick trees will almost always result in a punch to safety. The 2nd: A 165 meter par three. It’s the first real challenge to negotiate. This hole has water left and the thin, wide green is guarded by bunkers front and back. The smart play here is to shoot for the right side of the green and try to putt at it from there. The 12th: A reasonable length par four at 365 meters. This hole is one that can be attacked, however if you get your drive wrong (left or right) you’ll be struggling to make par. 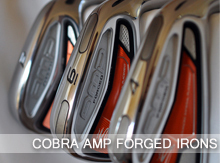 A well positioned drive gives you a chance to attack with a mid to short iron. There are three pot bunkers to the right and a larger bunker to the left. This green can play difficult with a slope from back to front. 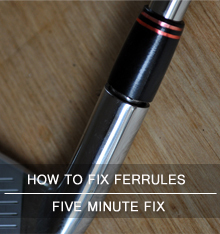 Finish above the hole and you’ll need to putt with care. The 18th: A fantastic finishing hole which requires a drawing drive to get close enough to play a short iron. Push the drive and you’ll still get a good look at it however you will have a much longer shot in. Again, this green is guarded by three well positioned bunkers which require good management (and execution) to avoid. This green is one of the more friendly on the course and gives you a reasonable chance to make birdie if you find yourself on in regulation. This is my impression of the course and a few of my favourite holes. 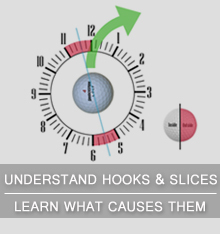 It is a fairly demanding course and requires a lot of committed shot making. If you haven’t already, I hope you get a chance to play Heidelberg one day. If so, please feel free to let me know what your favourite holes are.